MariaDB was created in 2009 forking from MySQL by its original developers. By 2016, MariaDB has replaced MySQL in many places and everybody should consider migrating too. MySQL appeared in 1995 for the first time and it was initially created for personal usage but in a few years evolved into a enterprise grade database and it became the world’s most popular open source relational database software – and it still is. In January 2008, Sun Micro-systems bought MySQL for $1 billion. Soon after, Oracle acquired all of Sun Micro-Systems after getting approval from the European Commission in late 2009, which initially stopped the transaction due to concerns that such a fusion would harm the database markets, as MySQL was the main competitor of Oracle’s database product. Developed fully as open source, all the development decisions can be reviewed in the public bug tracker. Contributing to MariaDB is easy and the patch flow is transparent in the fully public and up-to-date code repository. It follows top industry standards by releasing security notes and upgrades at the same time and handling in a proper way. Visit the release notes, for additional information about issues that has already been released fixes for. Has better features than MySQL, and in most cases, those features seem to go through a more extensive reviewing process before its release. GIS resources were introduced already in the 5.3 series, which makes storing coordinates and querying location data easy. Its dynamic column support, allows for NoSQL type functionality, and thus one single database interface can provide both SQL and “not only SQL” for diverse software project needs. 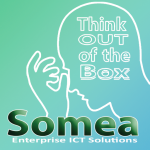 In particular excels as the amount of storage engines and other plugins it ships with: Connect and Cassandra storage engines for NoSQL back-ends or rolling migrations from legacy databases, Spider for sharing, TokuDB with fractal indexes etc. These plugins are available for MySQL via 3rd parties, but in MariaDB they are part of the official release, which guarantees that the plugins are well integrated and easy to use. Improved query optimizer and many other performance improvements. Benchmarks show that this database is radically faster than MySQL. By migrating from MySQL, you can get up to 10 % performance improvements in our real-life scenarios. Still, when it all adds up, 10% is relevant, when talking about web server’s loading speed, where every millisecond counts. Galera is a new kind of clustering engine which, unlike traditional MySQL master-slave replication, provides master-master replication and thus enables a new kind of scalability architecture. Despite that Galera development already started in 2007, it has never been a part of the official Oracle MySQL version while both, Percona and MariaDB flavors have shipped a Galera based cluster version for years. 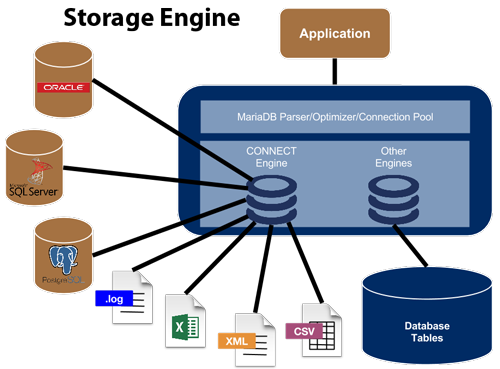 MariaDB offers better Galera support as it is included in the main version, and enabling Galera clustering is just a matter of activating the correct configuration parameters in any MariaDB server installation. Choosing between Oracle and a true open source project, the decision should not be hard for anybody who understands the value of software freedom and the evolution benefits from global collaborative development. In 2013 Wikipedia migrated from MySQL to MariaDB it’s huge wiki system and Google migrated to MariaDB insted to PostgreSQL in their internal systems instead of MySQL. One of the MariaDB Foundation sponsors is Automattic, the company behind WordPress.com. Linux Fedora and OpenSUSE have had MariaDB as the default SQL database option for years. The the ideal time to migrate is now while it is still hassle-free. If binary incompatibilities arise in the future, database admins can always still migrate their data by dumping it and importing it in the new database.